April 14, 2017 May 31, 2017 by Sally Ride Science . Posted in " News Releases, Video " . Tags " Education, Sally Ride, Sally Ride Science, STEAM, STEAM education, STEM " . 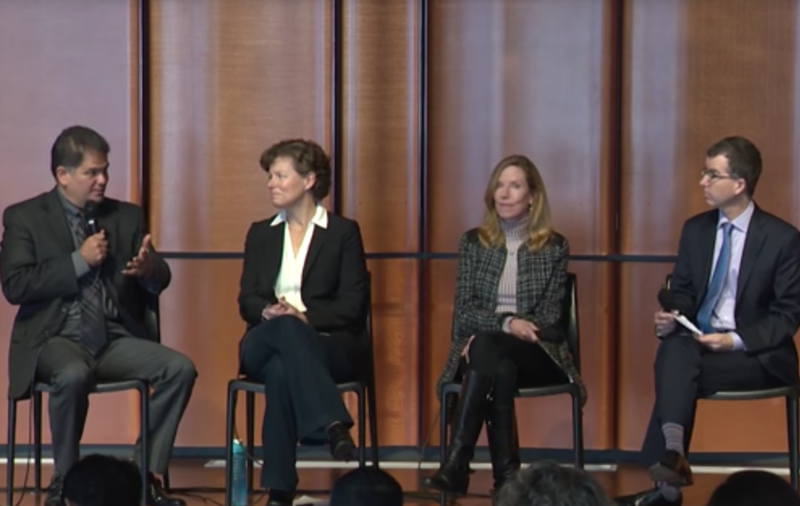 The inaugural event in the new Sally Ride Science STEAM Series was a panel discussion on why it is crucial to strive for equity in STEAM education. Watch a video of the Feb. 28 discussion from The STEAM Channel on University of California Television. STEM education refers to science, technology, engineering, and math. STEAM education adds an “A” for the arts. Proponents of STEAM education believe that to succeed in science and technical fields, students must also be exposed to creative thinking through arts programs. Panelists were Dalouge Smith, president and CEO of the San Diego Youth Symphony and Conservatory; Karen Flammer, cofounder and director of education for Sally Ride Science at UC San Diego; Heather Lattimer, interim executive director of the Institute for Entrepreneurship in Education at the University of San Diego; and Francisco Escobedo, superintendent of the Chula Vista Elementary School District.. The panelists explored the importance of STEAM education to the innovation economy. They also discussed the wide disparities in access to advanced STEAM education programs and the need to make these programs available to all students. Sally Ride Science was cofounded as a company in 2001 by Sally Ride, America’s first woman in space. Sally Ride Science joined UC San Diego in 2015 to create a new nonprofit based at UC San Diego Extension. Its programs are coordinated jointly by UC San Diego Extension, Scripps Institution of Oceanography, and the San Diego Supercomputer Center.